Preschool education: Go big or go home? Despite initial gains, children who attended Tennessee’s preschool program were doing no better than their peers by the end of third grade, according to the latest results of a multi-year study. But Dale Farran, professor of education and psychology at Vanderbilt University and a co-author of the study, said her research shouldn’t be seen simply as a condemnation of publicly funded preschool. Many in education, including U.S. Secretary of Education Arne Duncan, have spent the last several years extolling the power of high-quality preschool to change the game for low-income children. Rigorous studies—like one based on a program in Michigan called the Perry Preschool Project and another on a program in North Carolina called the Abecedarian Project—have bolstered claims that preschool can provide benefits that continue to high school, college and even lead to better physical and financial health in adulthood. Statewide public preschool, advocates say, could solve these and dozens of other pressing problems in education. Critics, on the other hand, have argued that the rigorous studies cited by advocates only look at tiny, excellent, programs that states have little chance of replicating on a large scale. Critics then point to the two most well-regarded studies of very large-scale programs—Head Start and Early Head Start—that show the same neutral effects seen in the Tennessee study as evidence that there is little point to all the hype. At first glance, the findings from Tennessee appear to back up the argument that scaled up preschool can’t work. The statewide study has been following 1,076 students, 773 of whom were randomly assigned to attend Tennessee’s state preschool program, for the last five years. Immediately after completing preschool, researchers found the children to have a marked advantage, academically and socially from the children who didn’t attend. Yet subsequent follow-ups saw that advantage fade. By as the end of kindergarten, there was no difference in academic performance between the two groups. And by the time the students were finishing third grade last spring, researchers had actually documented a slightly negative effect on the academic performance of former preschoolers, according to the study. Steven Barnett, an economist and the director of the National Institute of Early Education Research, said the results of the Tennessee study shouldn’t be seen as evidence that preschool doesn’t work or that previous studies were wrong. Rather, he sees the latest results as a clear signal that quality matters immensely. On paper, Tennessee’s statewide program meets nine of 10 quality benchmarks set by Barnett’s own institute. The benchmarks are good ones, said Barnett, but emphasized that they are minimum guidelines to quality and that there is a difference between writing them down and meeting them in practice. The state has approved a long list of specific preschool curriculum options, for example, but not every approved option is high-quality, said Barnett, who has reviewed the state’s list. 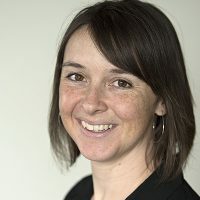 Moreover, Farran and her fellow researchers did a separate study that used a commonly accepted research tool to evaluate 160 state preschool classrooms on a scale of one to seven. Only 15 percent of the classrooms they observed met the benchmark for “good” or better. In comparison, a 2008 review of Boston preschool classrooms found 75 percent meeting the “good” benchmark for classroom interactions and 60 percent meeting the benchmark for language and reasoning. Studies of the Boston preschool program have found stronger initial results. Comparing well-documented successful preschool programs, like the Perry Preschool Project, to Tennessee’s program, she said, would be like comparing spinach to that green plastic grass found in kids’ Easter baskets. Many city and state programs, Farran and Barnett agree, do not boast most of the defining features of the programs that produced such strong academic results. Perry and Abecedarian had highly educated teachers who were paid well. Teachers worked one-on-one with students to teach specific concepts, like weight, as part of a structured, developmentally appropriate curriculum. And the programs took pains to educate parents about how they could continue helping their children at home. Those programs would also cost $14,000 to $20,000 per child in today’s dollars, amounts that states like New Jersey and cities like Boston are approaching, but far more than the $4,611 that is spent in Tennessee. But just because Tennessee hasn’t nailed preschool, doesn’t mean it can’t be done well on a large scale, Barnett said. Pointing to New Jersey, Alabama, Louisiana, Boston and Tulsa, Oklahoma as examples, Barnett said it is possible to serve many children well if cities and states are willing to spend the time, energy and money to get it right. 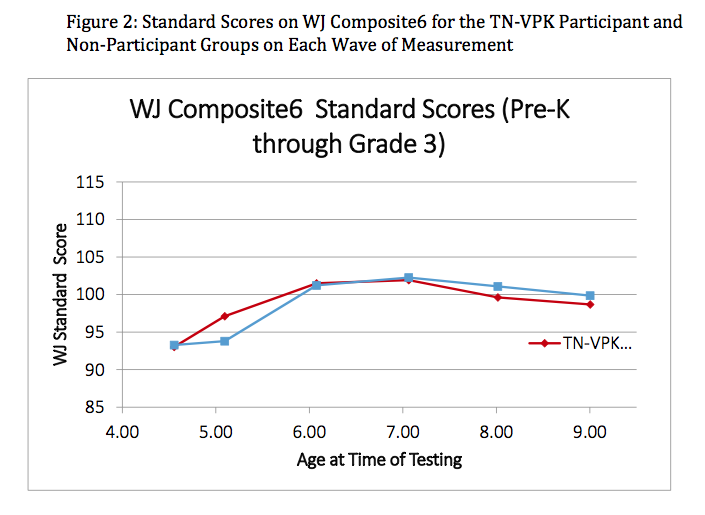 Still, the Tennessee study is now one of several that have documented initial student gains from large public preschool programs and little to no lasting effect. It makes very clear that the question of whether or not large-scale preschool programs can work is still a very open one. Yet, the big picture, research-wise, includes the studies that found excellent results for very high quality programs too. And then there is another study, of the much larger Chicago Parent Center program, that found the same benefits as the Perry and Abecedarian studies, though on a slightly smaller scale. Whether or not Tennessee officials see the results the same way, or as evidence that it’s time to throw in the towel on preschool remains to be seen. In the meantime, with funding secured from the National Institute of Health, Farran and her colleagues will continue their study and follow the students through seventh grade. This story was written by The Hechinger Report, a nonprofit, independent news organization focused on inequality and innovation in education. Read more about early education. Why are we sending children to pre-K programs in converted salons, bars and turkey coops?